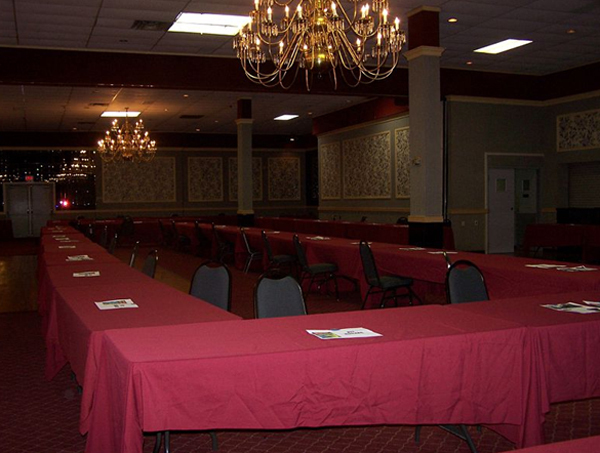 Photos provided by Barb Heiss, Kevin Slick, Phil Smoot, Geoffrey Curtis, Juan Ortiz, Brian Nichols, Steve & Maxine Wrzesien, The Spisaks and others - thank you! 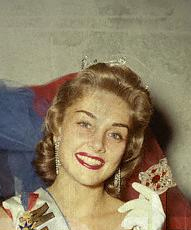 Miss America 1957, Marion McKnight, now Mrs. Gary Conway hung out at Monster Bash with her husband's 1957 alter-ego - TEENAGE FRANKENSTEIN. 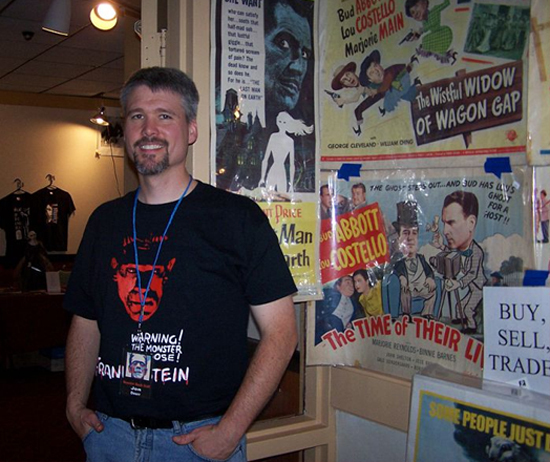 The Teenage Frank is Michael Saglimben in a mask made by Ron Chamberlain. 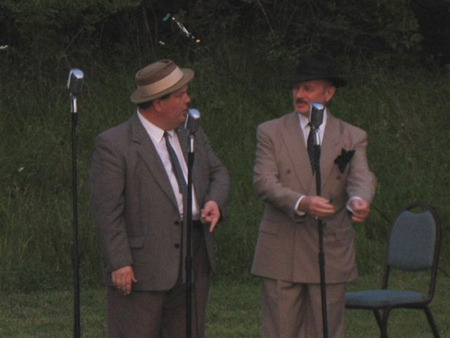 The classic "Who's On First" done pefectly by Joe Zeigler and Bill Riley. Donnie Dunagan dances with The Bride of Frankenstein as the monster is miffed and Moe Howard looks on from the doorway! 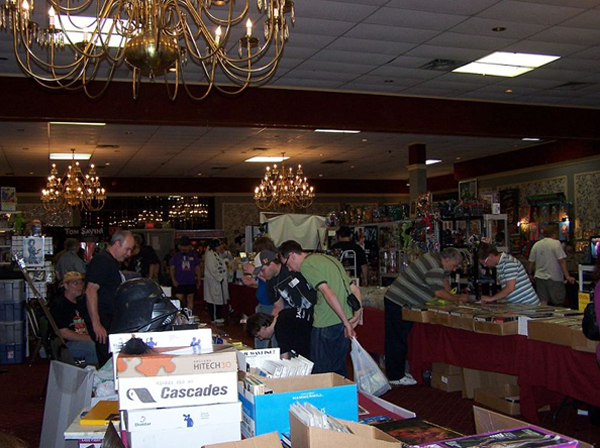 Monster Bash magic. 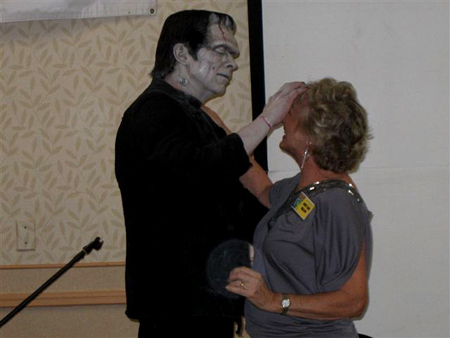 The Monster places his hand on Janet-Ann Gallow's forehead, then places it back on his own, as he did in THE GHOST OF FRANKENSTEIN with Janet then...and now at BASH. 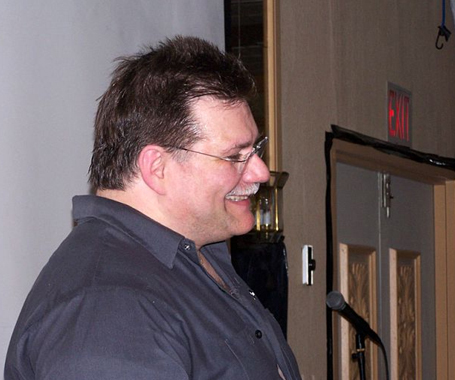 The monster is Joe DeMuro in make-up by Monster Bash monster maker Ron Chamberlain. 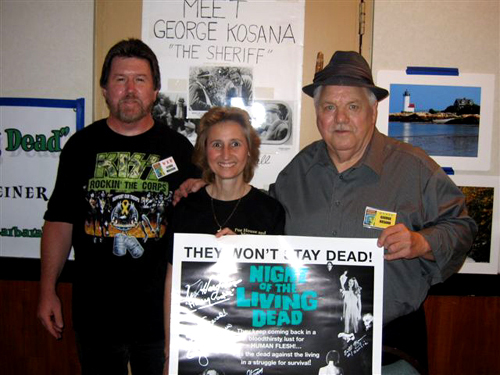 Attnedees Steve and Maxine meet George Kosana, "The Sheriff" from NIGHT OF THE LIVING DEAD (1968). George is the one who ad-libbed the line - "They're dead, they're all messed up!" 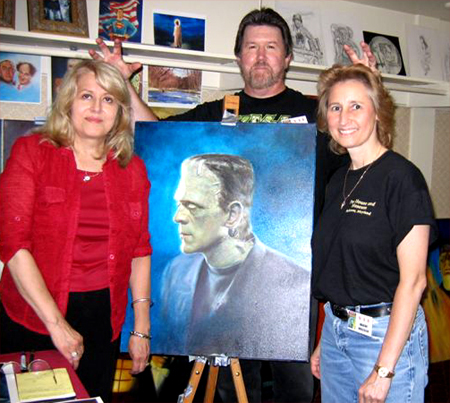 Monster Bash artist Lorraine Bush with Steve and Maxine! 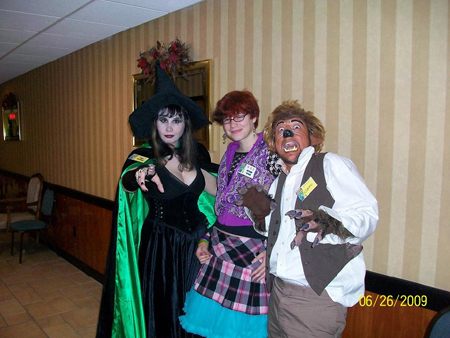 Penny Dreadful (TV Horror Host) with Autumn Spisak and Garu! 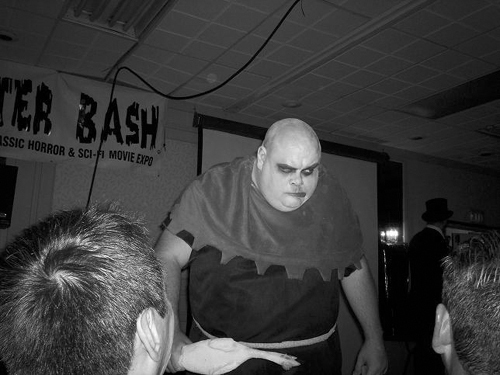 Creighton from the TV Show GHOUL A GO-GO does the Bash! 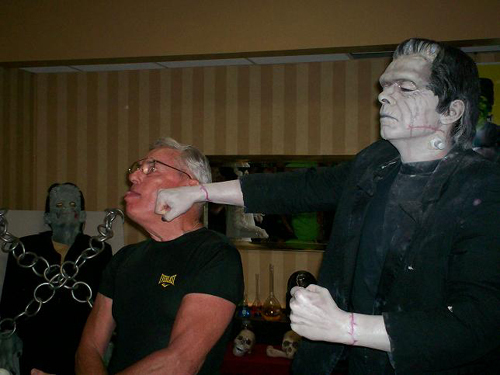 The monster got tired of "Wellll Helllo" and took a shot at little Donnie Dunagan! The monster is Joe DeMuro in make-up by Ron Chamberlain. Grim of the Patient Creatures sizes-up Paisley Adams. Don Reese Vs. 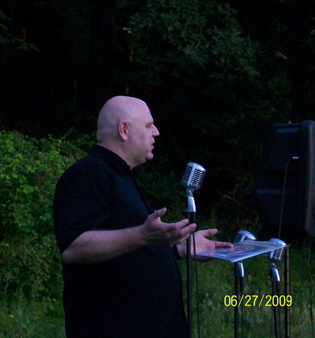 Jungle Jim at Bash 2009 for his live outdoor show. 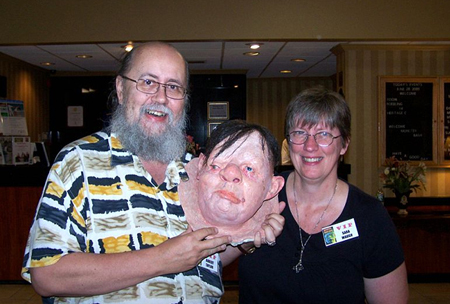 Robert Taylor abd Cousin Sara with a way-cool Quasimodo head of Charles Laughton by artist Daniel Horne. 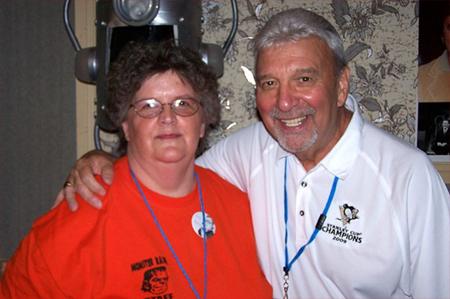 Barb Heiss with Pittsburgh TV Legend Chilly Billy Cardille. 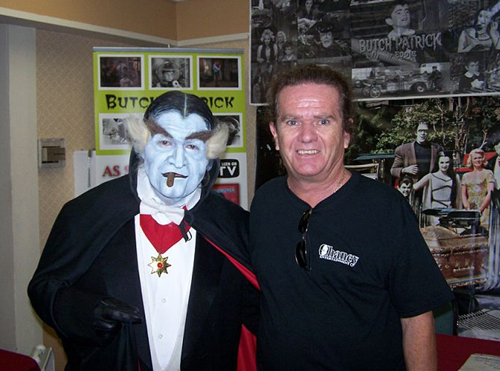 Ron Chamberlain made himself up as Grampa Munster and hung-out with Butch Parick (Eddie Munster). 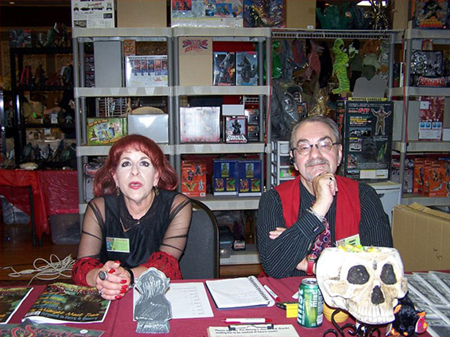 Arlene and Harry at the Scarlet Magazine table. 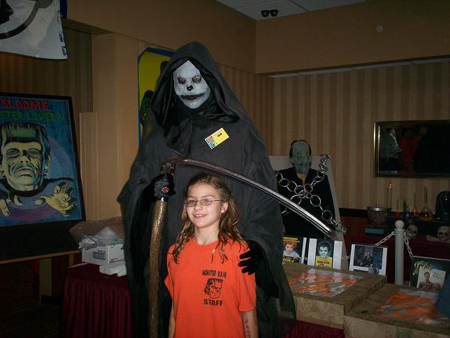 One super-talented artist and one happy Monster Kid at Monster Bash - Daniel Horne!. 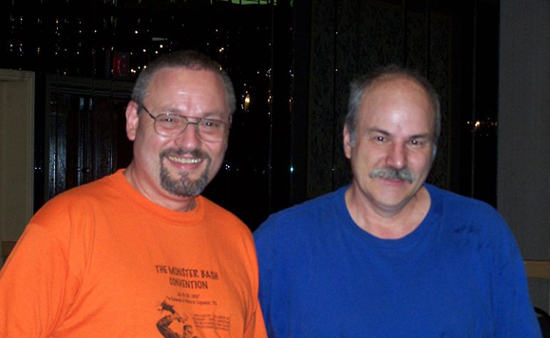 Bob Pellegrino and Dan Zanol ready to Bash! He's got the posters and ready to deal - Jon Doerr.